As prior research has shown, news reports cast most scientific findings as a quest that leads to discovery. The media monitor’s first report centers on that narrative. 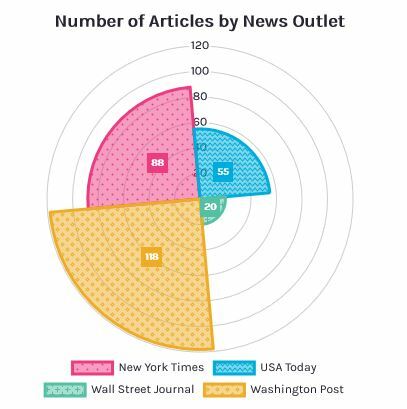 By publication, the number of articles analyzed from media organizations on 165 scholarly studies from 4/15-12/17. According to the report, news stories were likely to note the process that led to the scientific finding, likely to include words such as discovery, breakthrough, and advance, and likely to mention unanswered questions or next steps. But news stories were unlikely to feature a key element in the path to scientific knowledge: false starts or dead ends. Future reports of the Science Media Monitor will spotlight reporting on scientific retractions and on controversial science, such as the CRISPR-Cas9 gene editing tool. “[D]efective narratives can enhance the capacity of partisans to discredit areas of science – including genetic engineering, vaccination, and climate change – containing findings that are ideologically uncongenial to them,” Jamieson wrote in an article in the Proceedings of the National Academy of Sciences introducing the original content analysis of the discovery, retraction, and crisis narratives in science news. “In contrast, accurate narratives can increase public understanding not only of the nature of the discovery process, but also of the inevitability of false starts and occasional fraud.